Not posted in far too long… going to have do a few updates for trips from last year. However, happy new year and all that. 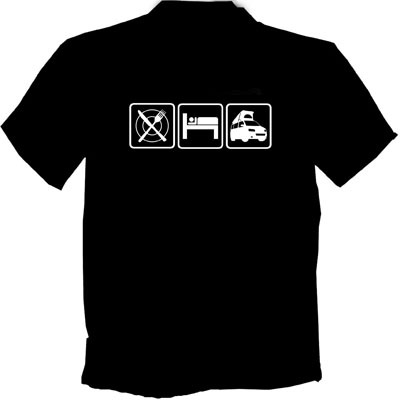 Got a little fed up being down with the man flu over Christmas and decided to update a couple of my T-Shirt designs. Also knocked up a few stickers for the Cali Club forum… a good bunch of guys. both their website stickers and stickers for the Cali’s on the Farm meet in May using my Cali graphic from above. 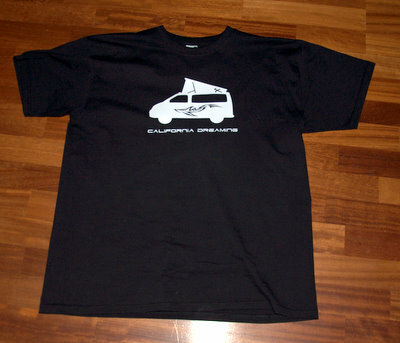 Posted in T-shirts by SimplyDubs with no comments yet. A walk around Pitsford this morning, Alexandra had her friend Georgia stop over last night. Walking the dogs, throwing the frisbee and playing on the swings… Fantastic. 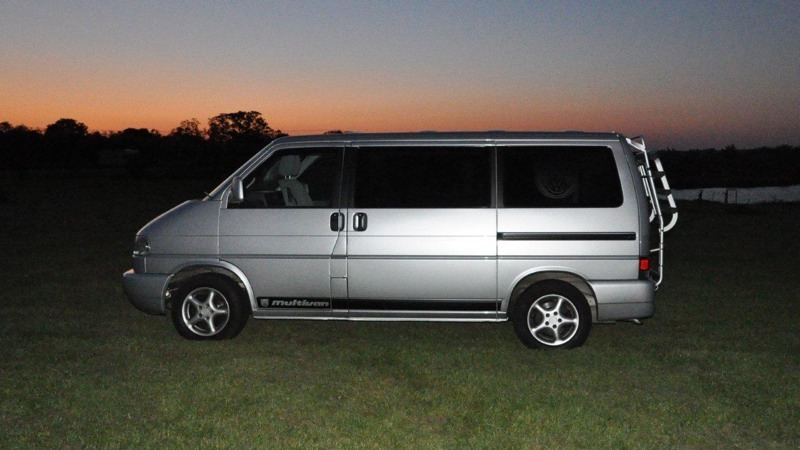 Stunning weather and the Multivan proves it’s the best picnic wagon there is…. Summer feels like it’s finally here. Posted in Out and About by SimplyDubs with no comments yet. 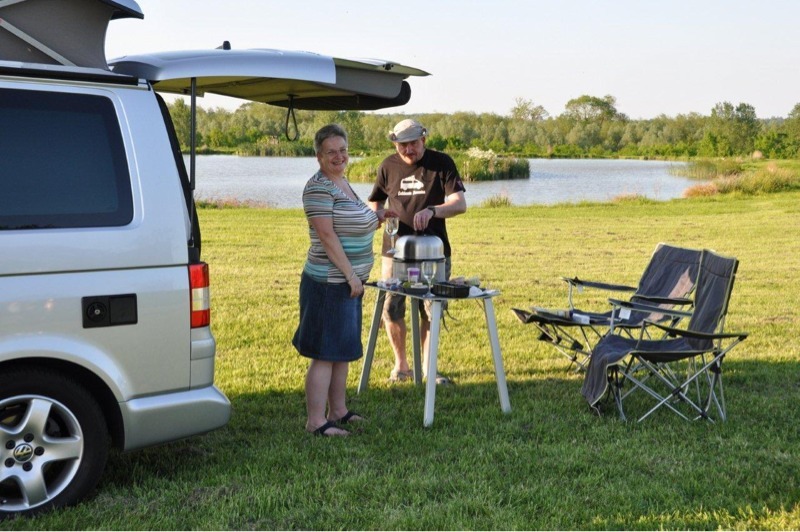 First time out with both the Cali and the Multivan… Fantastic! Small site, very limited facilities but a stunning location. Around 16 Cali’s turned up. Lots of old friends and some new. 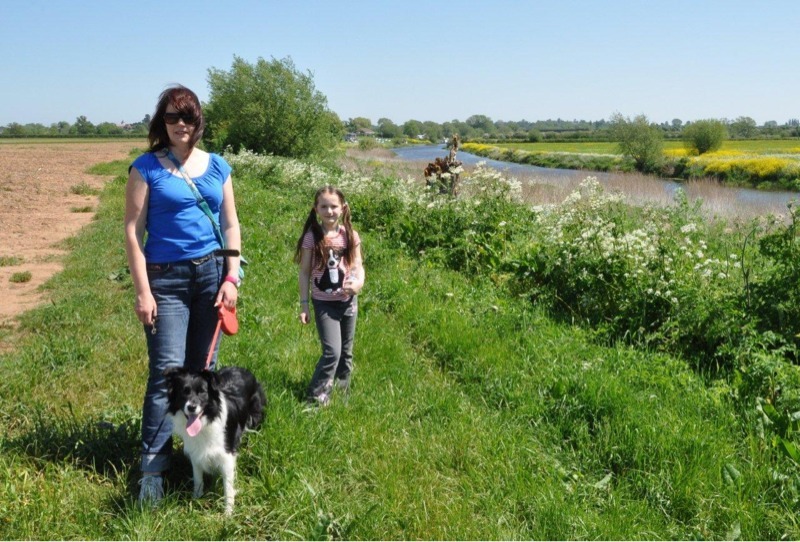 Turned into a stunning weekend… Looked like the summer had truly started… How wrong could you be?! 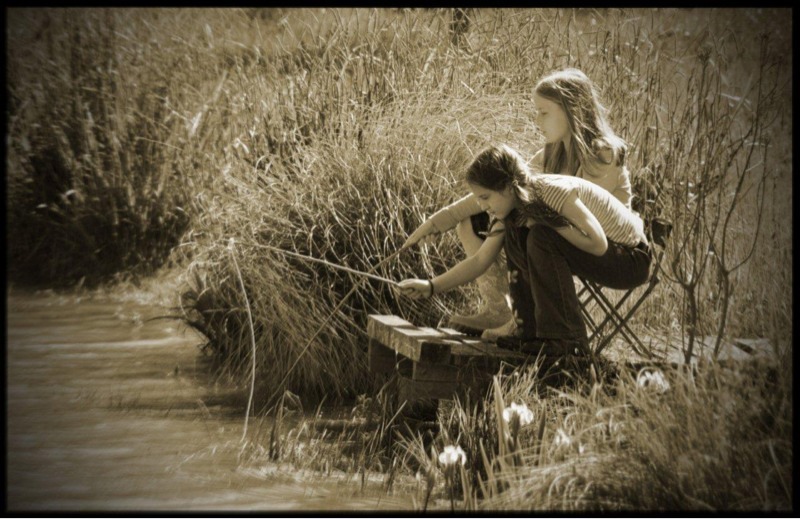 Alexandra made some new friends and the age old simple pleasure of trying to persuade fish to nibble a string on a stick… Happy, happy memories. Posted in Uncategorized by SimplyDubs with no comments yet. 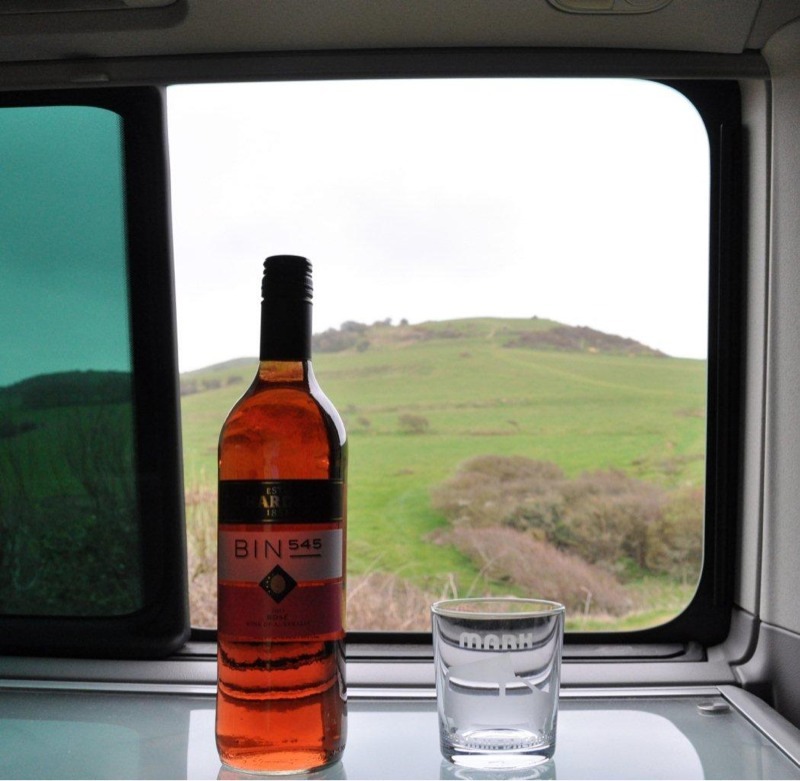 Long drive down to Golden Cap and Sea Town campsite on a Friday evening… But a stunning location right on the beach front. Parked up and went off to find the troops in the pub that was only a couple of hundred yards away. Locations don’t get much better than this. Good to catch up with old friends also. 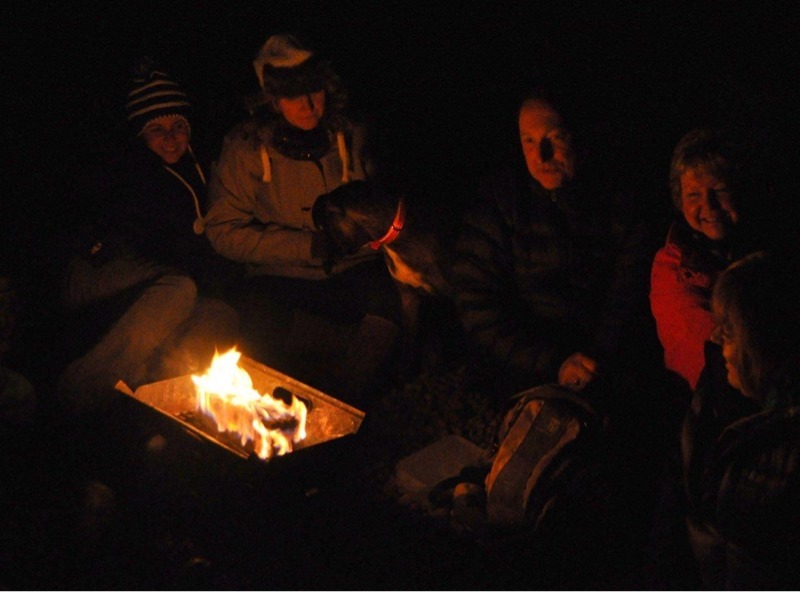 Evening brought food, drink and Alexandra teaching Irish Dancing… Followed by a late night fire on the beach. Absolutely stunning. All finished far too soon… Look forward to catching up again soon. Despite being incredibly poorly with food poisoning decided we still needed to head off for the first trip of the year… There’s a tradition that’s started that says we have to get away before the end of February. So it was off to Blackshaw Moore in Leek with Paul, Christine and the girls. Helen arrived later in the evening and it was an early night to get away from the cold. Saturday brought a better start… bright and clear and a wonderful view from the door of the van. Once done an washed up, it was off to the potteries for some edumacational 😉 fun. We’ve been to the Gladstone pottery museum before and like it lots… the kids like the messing about with clay and also sitting on the toilet display. Alex put a bit of a spanner in the works… now that’s what I call a spanner! 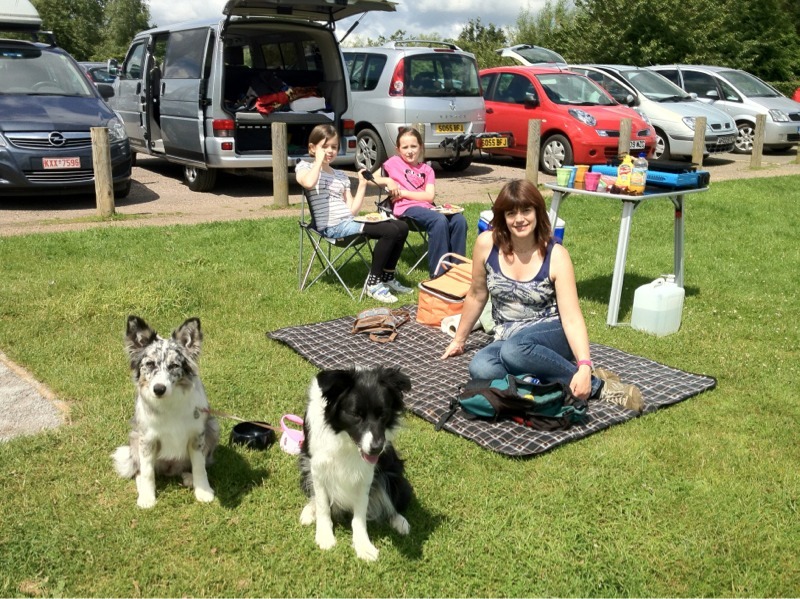 Back at camp, decide to have an early meal… so off to the pub. Very early night… not feeling at all well. Night time very cold, snow frost and hail. Now this is what campering in all about. 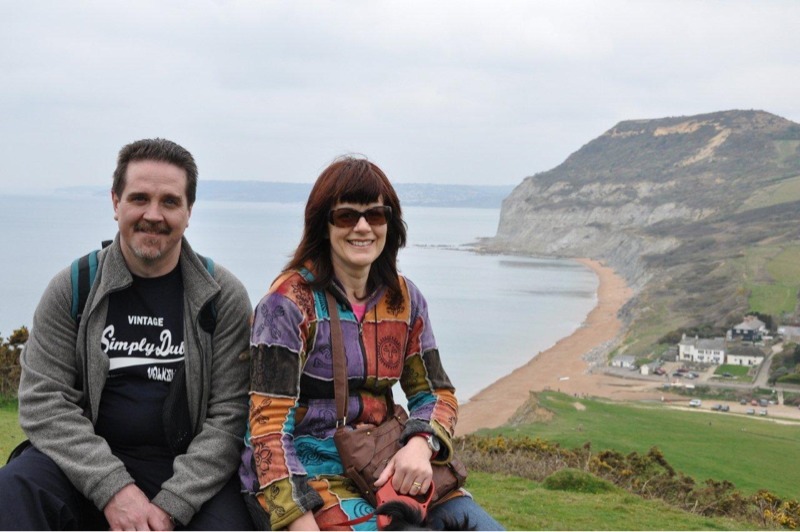 Sunday and a trip to the caverns… this time Poole Cavern. Nicely done and easy walking unlike some of the ones we did last year. Beans on toast for lunch, early head off home. 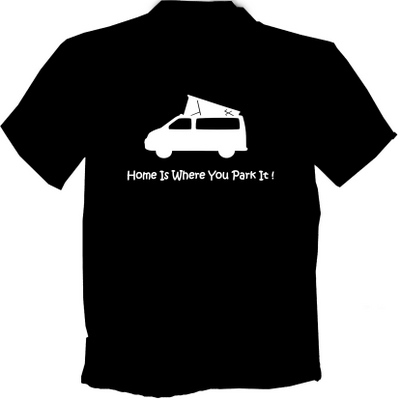 Given the lack of VW California specific shirts… once again felt the need. Came up with these and pretty happy with the results. Particularly like this one… A retro 60’s Coke feel… Simple but effective. Santapod is always an occasion but the thing I like about Flame and Thunder is that there is soooo much to do. Special and back for the first time in a few years… Night time drag runs and most importantly… flaming burnouts… Fantastic. And the jet powered Beetle… a firm favourite. All finished off with fireworks and a severe overdose of home made Sloe Gin. After a long wiggle across country, following roads that aren’t even on the map we learnt an important lesson… when the campsite says don’t follow your SatNav… there’s probably a very good reason! 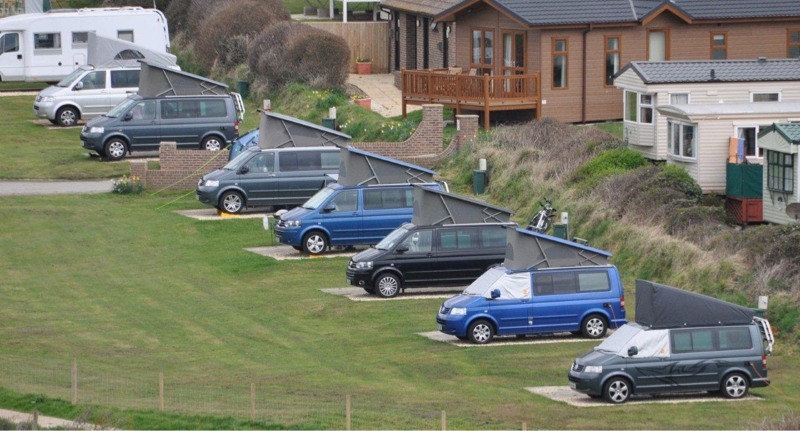 Anyway, arriving at Slapton sands we were stunned to see just how close it is to the fantastic beach and more importantly how many other VW’s were at the site. Pitching up, we did all the important things first. Checked out the loos, found the play area and finally went off to the the local pub. Two within 5 minutes walk… A nice simple pub grub type of place and also a stunning “gastro pub”. We opted for the latter and weren’t disappointed. 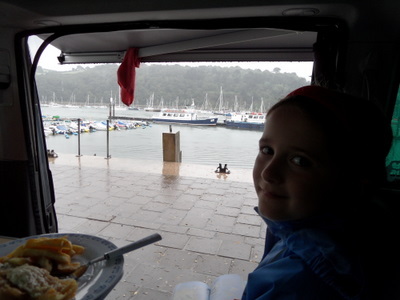 The weather wasn’t fantastic so we opted for a day out in Dartmouth… parking a nightmare, but ended up with a great spot right on the harbour side. Since the weather was poor, we did the shopping and then hit the local museum. Alexandra doing the quiz and spending lots of time looking at all the little items in each room. Well worth doing. Alexandra needless to say, ended up in the stocks. Fish and chips purchased we headed back to the van, rolled the awning out across the pavement and ate our fish and chips as close to the sea as you could possibly want. 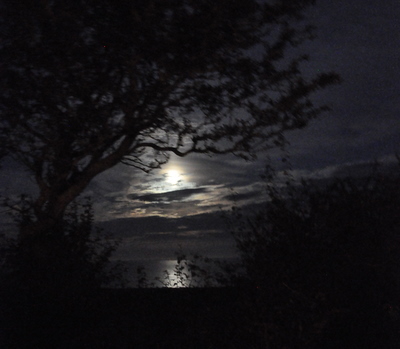 The night was stunning, clear skies and misty sea. The lighthouse lighting up the mist in a very mysterious manner. Still and calm after a day of storms. The final day had probably the best weather. Alexandra didn’t want to leave having made new friends, particularly Polly. We headed for the beach and had a swim in the icy waters. Actually Alexandra’s first time off the UK coast. This time we also spent more time in the village(town) itself and around the harbour area. The litte marine aquarium on the harbour was spot on with Alex being let feed the fish by hand, hold a star fish and also hold the biggest lobster I’ve seen in a long while. 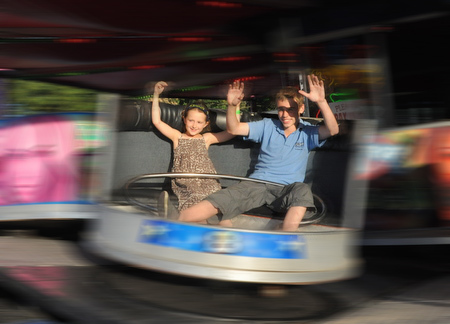 A day out close to the campsite… Weston is a seaside town of the old school. 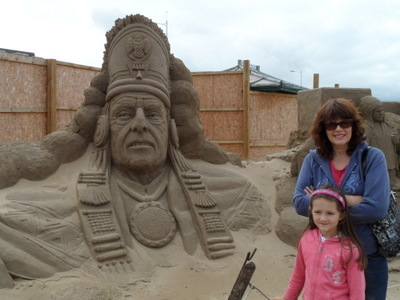 First stop… Sand sculptures… Fantastic! Can’t believe this is sand!!!!! Followed by the ever present Fish and Chips… I can’t recommend Winston’s Fish Bar highly enough… food is brilliant and the service is absolutely spot on. They take a real pride in their work. The afternoon capped off with a visit to Carters Steam Fair, including the Penny Arcade which Alexandra loved and a very strange Victorian Side Show featuring the Electric Lady. Start of our “Southwest Fortnight” as we called it. Drive down to Weston Super Mare C&CC site to use as a base for the Balloon Fiesta. Weather not fantastic, but still lots of fun to be had. Then the heavens opened, the rain came down and we sheltered in the van until finally giving up and heading back to the campsite. 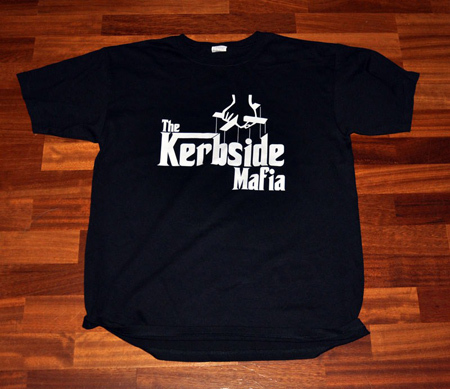 Ok then, now I’ve picked up the T-shirt bug after doing the Kerbside one and I can’t stop. Had a play, sketched a T5, added a roof and a few bits and away with the vinyl cutter. What can I say? A stunning result for 30 minutes work. A stormy start to the weekend, but the weather came good in the end!!! Headed up early in Foxy to Weston Park, but got stuck in traffic on the M6 for an hour and a half. Helen arrived later, followed shortly after by Paul, Christine and girls… later Mullaney and family, always great to have along at a camper meet. An evening with the ubiquitous washing machine brazier and everyone is happy. Lots of wandering around the stands and vans on the Saturday, along with plenty of cider and food. Like father, like son… in so many ways. ‘Twas then off to the fairground. Posted in Out and About by SimplyDubs with 1 comment. Got these DRL panels from germany and sent them off to Iain and iKustoms for colour matching. As always stunning work from Iain. A few painful moments taking off the old panels and even worse the centre grill. Taking this out makes sounds that should never come from a vehicle… very scary. The next worrying bit is taking a saw to the bumper… a small amount of trimming to let the LED unit sit flush. Run the cabling. Being a German unit, this is all plug and play, no wire cutting or joining. The unit plugs into the back of the nearside headlamp and take a feed by a really clever double fuse arrangement from the engine bay. VERY neat. Cable run around the radiator grill and into the bumper aperatures with waterproof plugs on each light unit. All finished and about an hour or so work… most difficult part was removing (& refitting) the grill. Not seen this mod in the UK, a very neat installation and looks very OEM. Posted in Van Modifications by SimplyDubs with no comments yet. Despite the weather being a bit “on and off” had a cracking time, Big Bruv and his mates made it a real weekend to remember. With being almost knocked over by the wash from the Jet Beetle and washed away by the rain on Saturday night… what more could you ask for???!!!! Took both Foxy and Sharkey and let them get a little company. First day out for Foxy since having his body work done… looking pretty good and I’d forgotten how much fun he is to drive. Bacon and Sausage butties all round then the first of several walks around the massing VW’s. Little Ruby came along and was once again an absolute dream in the vans. So much better behaved than at home. First California weekend of the year. It was good to meet up with the crew and see some of the new faces. Settled in nicely with a great pitch next to Black Cliff despite arriving well after dark. Nice relaxing weekend, taking it easy. Ruby running around on the beach but VERY unsure about this big moving water thing!!! Pub lunch and brown shrimps. Life is good. Rained during the evening but three awnings together created plently of room for everyone. First real trip of year… desperate to get away before the end of February. Sacrewell is an exhibiting farm with camping on site. Only a one night stop over and we were one of only two families camping. 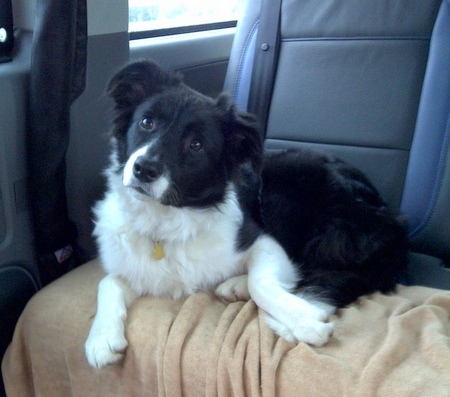 Ruby’s first night away in the van… What a star! Good as gold. Stunning time wandering around the farm, Ruby getting much attention from the workers on site. It’s great to see a farm that allows (actually welcomes) dogs.